LoA chatted to the inspirational Abai Schulze this month to find out more. "Our consumers care how the product is made, where it’s made, and who makes it." My driving passion and vision for many years were centered around using my education and experiences to create economic opportunities in my country of birth. So ZAAF really is a convergence of both opportunity and passion. My passion derives from the reality that design and creative expressions using tangible elements had always been a driver for me, even though I had spent my university years focused on the hard facts of economics. Our consumers care how the product is made, where it’s made, and who makes it. Our product makes it very clear and people who come to our shop in Addis actually get to see the process of the way the bags and scarves are produced. Our raw materials are hand picked, hand-woven, hand-cut, and hand-stitched. There is a lot of personal interaction in making one bag from the start to the finish. Our brand has a strong heritage attached to it. ZAAF leverages on Ethiopia's existing deep resources and applies innovative approaches and process improvements. In this way we can support and advance traditional artisanal industries to cater to the global market without compromising their national culture identity. "Our raw materials are hand picked, hand-woven, hand-cut, and hand-stitched. 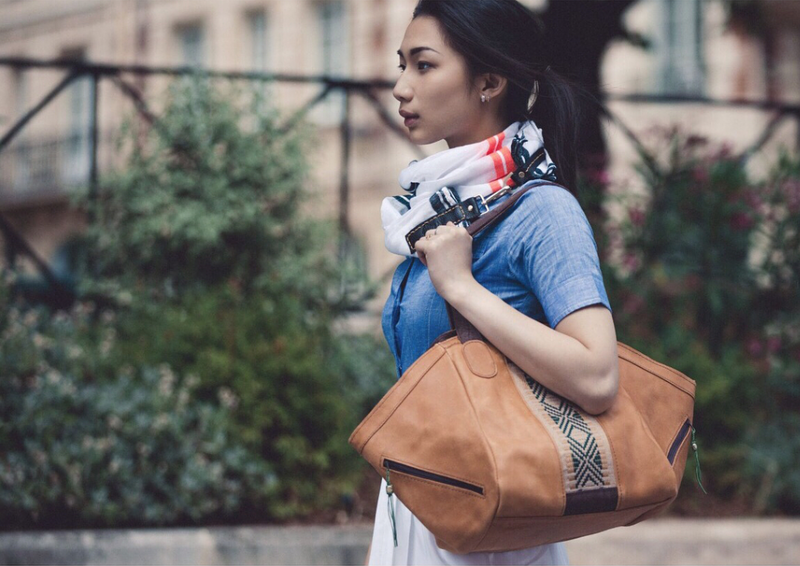 There is a lot of personal interaction in making one bag from the start to the finish." Initially we started out with a small team of six, and now we are up to seventeen including artisans and administrative staff. Our artisans work hard and we are always focused on quality control and continuous improvement in all we do. We have our own facility in the country that allows us to experiment with different techniques and designs, as well as invest in our team so we could establish a strong foundation to create a sustainable company. We offer a good set of benefits and compensation and we focus on building a unique and positive team environment where people are enthused with energy each day as they head to work. We try to keep things goal oriented and team focused, almost a family type vibe with the pride of knowing that each member of the team is contributing something very positive and visible to the reputation of the country. I was born in the Ethiopian province of Wollo and my work at ZAAF reflects deep influences that span from the countryside to the capitals of the world where I have lived and studied. My life journey has taken me from an orphanage in Addis Ababa to the United States and the rest of the world. I am committed to using my academic background in economics and fine arts to create unique and practical expressions of beauty. I’m fortunate to be surrounded with some of the most brilliant people who challenge and inspire me, including my own family which is full of natural entrepreneurs. "Our brand has a strong heritage attached to it. ZAAF leverages on Ethiopia's existing deep resources and applies innovative approaches and process improvements. In this way we can support and advance traditional artisanal industries to cater to the global market without compromising their national culture identity." ZAAF will soon open a first of its kind experiential design-and-shop boutique in Washington DC. 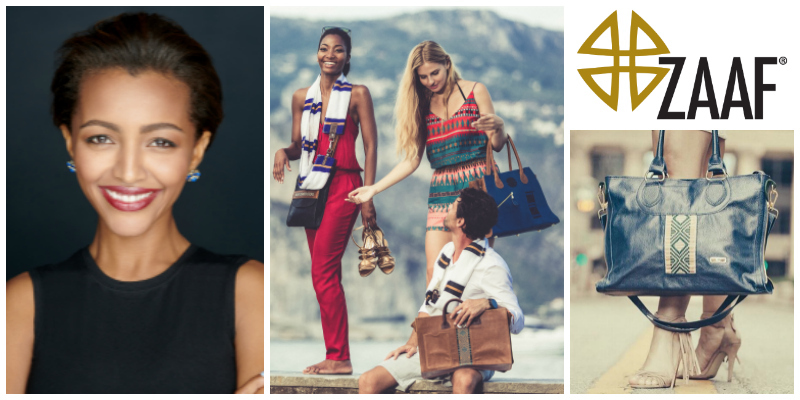 Seeing strangers at airports or hotels carrying ZAAF bags and it’s an amazing feeling to be associated with gifted artisans, and to create products that are so well received around the globe. First I would tell them to get smart about the sectors or areas of interests where they hope to invest their talent and energy. There are plenty of concepts which fall flat when put in the actual context and it’s always better to have done your due diligence early, if for nothing else than to be properly confident about the opportunity at hand. Secondly, I would tell them that for the first two to three years they have to be ready to have an equal measure of pain and joy with a strong tilt towards pain for most of the first 18 months (depends on the field). Thirdly, I would advise them to double-down on execution. Move with good data but by all means move and move quickly. Execution is the stuff of success – passion is just one of the ingredients.